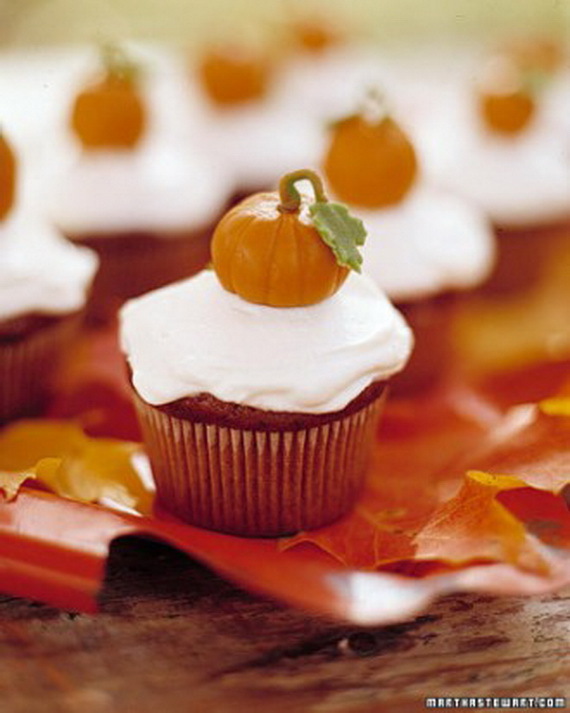 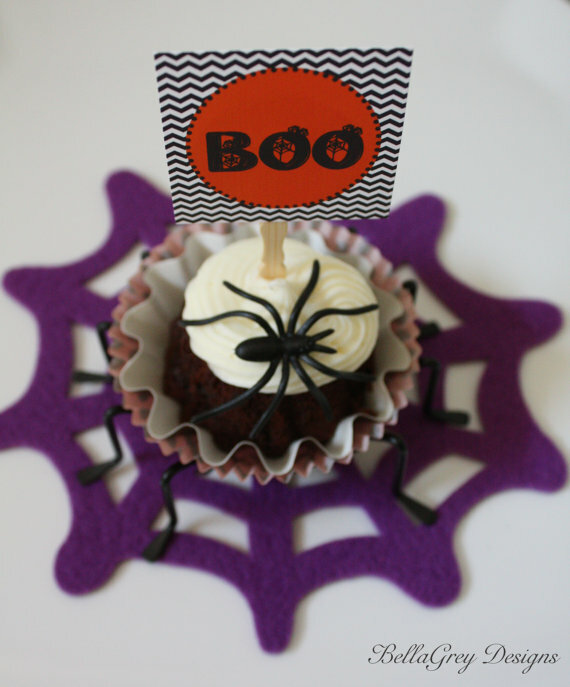 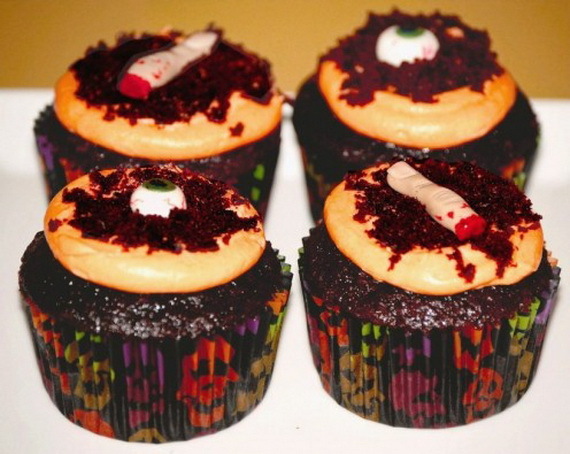 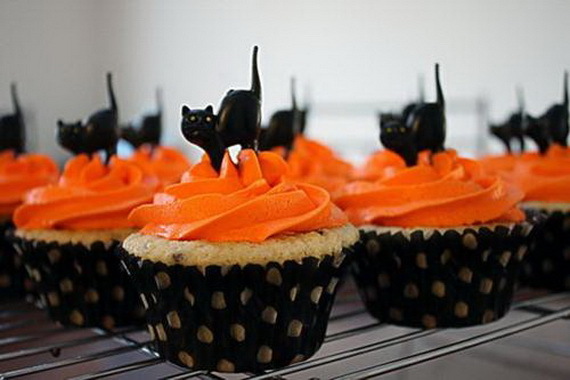 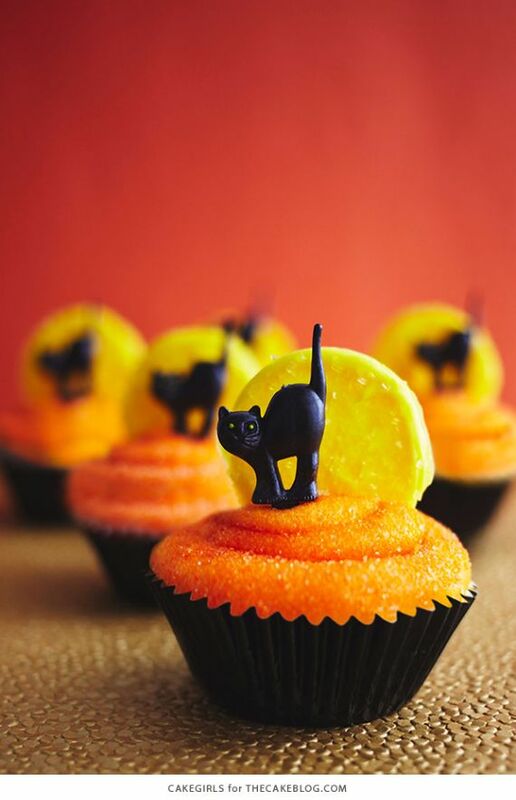 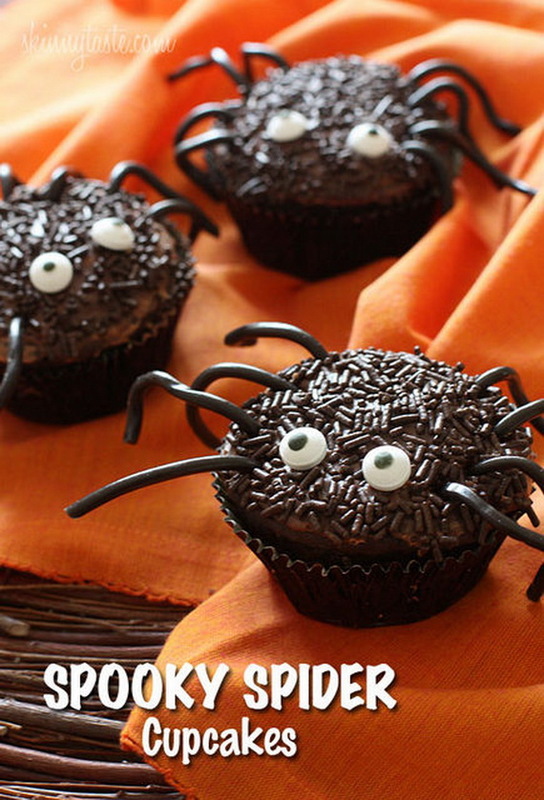 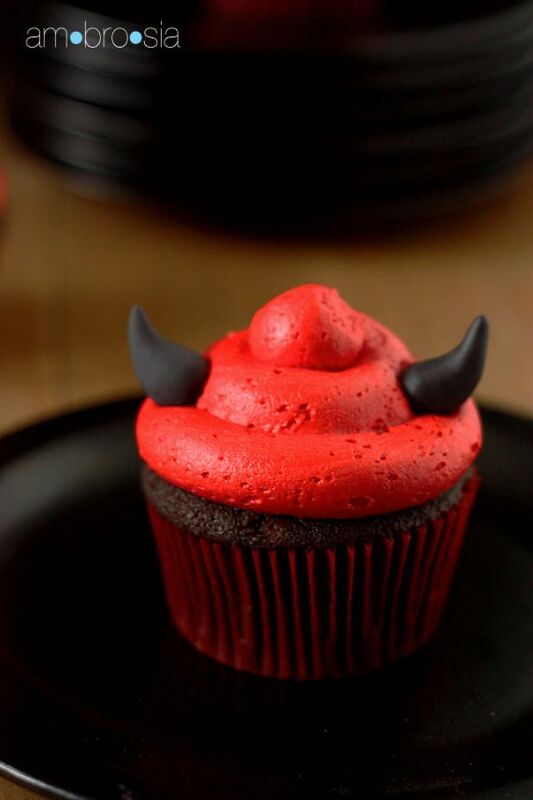 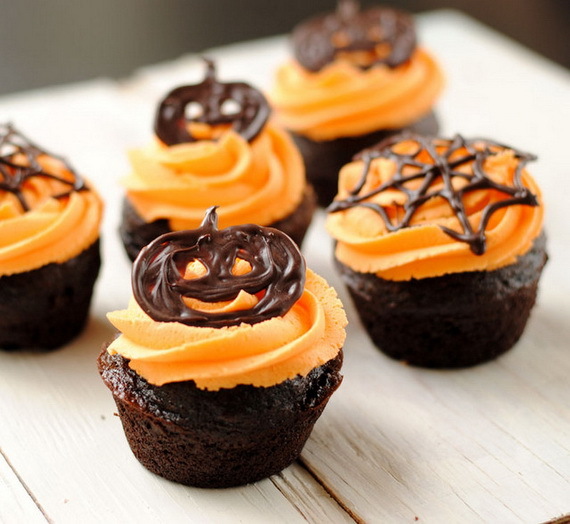 Spooky Halloween cupcake Ideas…Cupcakes are a great way to celebrate any occasion, and Halloween is no exception. 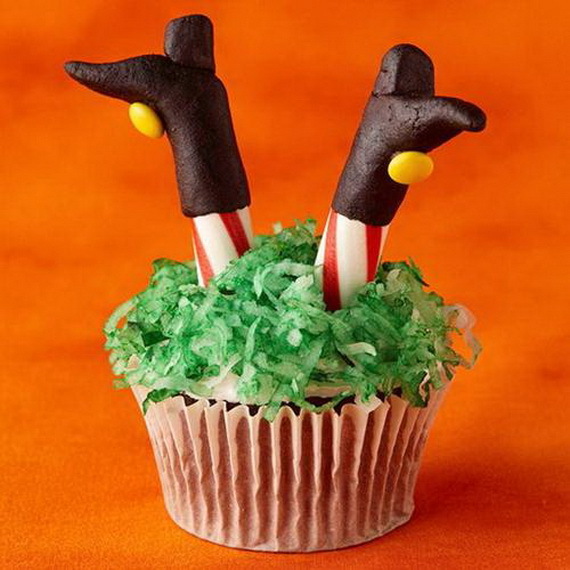 From creepy to creepier, not only are they able to insert the right sweet surprise for the holiday, but also able to spread the atmospheric Halloween cheer. 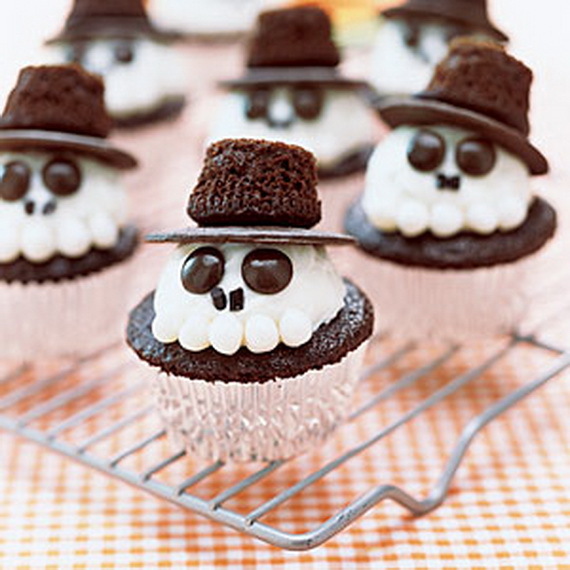 Spooky Halloween cupcake Ideas are super cool ideas for not so professional bakers that can help you to create your own. 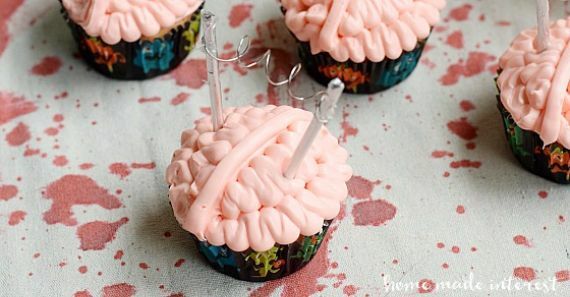 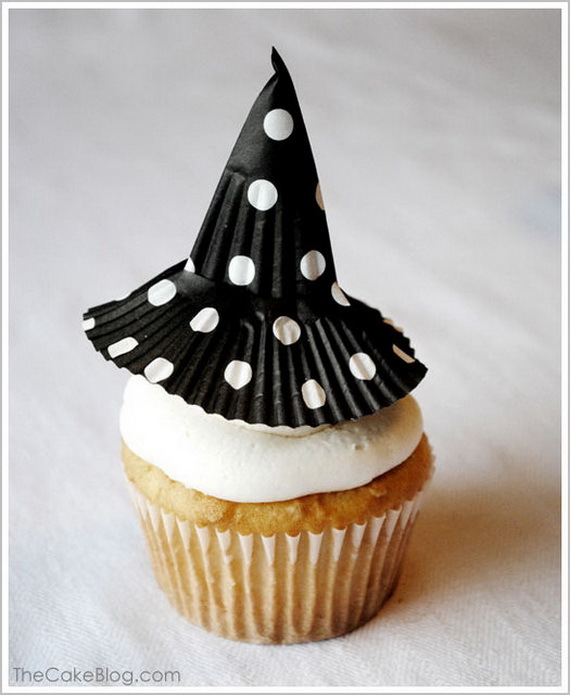 We are presenting some Halloween theme cupcake designs and ideas with witches, ghosts, spiders and even scientist brains. 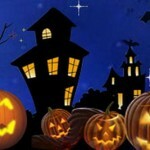 Let’s check them out feature the cute faces of our Halloween characters one by one. 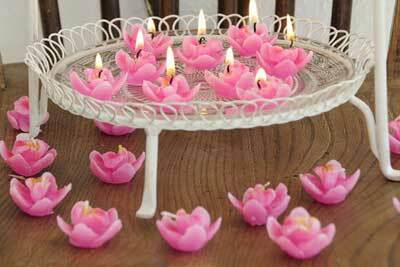 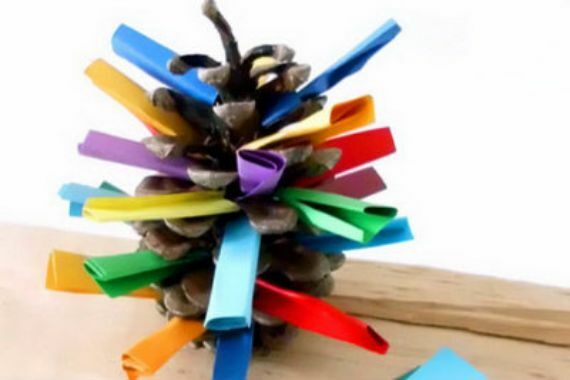 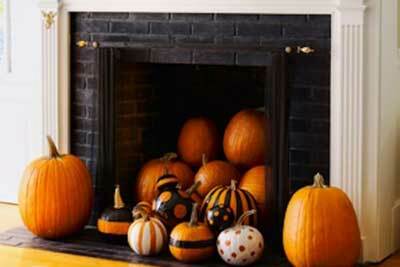 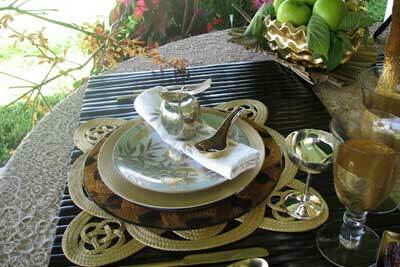 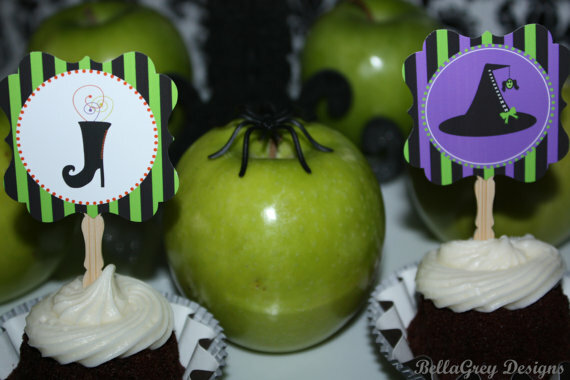 All of these Spooky treat decorations coordinate with the style of I hope you enjoy these ideas. 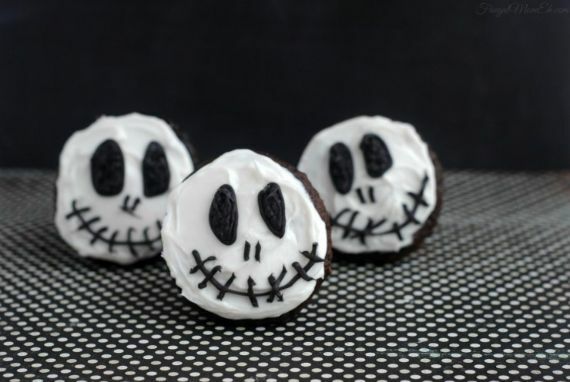 Halloween is one of my favorite holidays it gives us the opportunity to decorate and design favorite dessert …from baked cupcakes to Halloween themed treats. 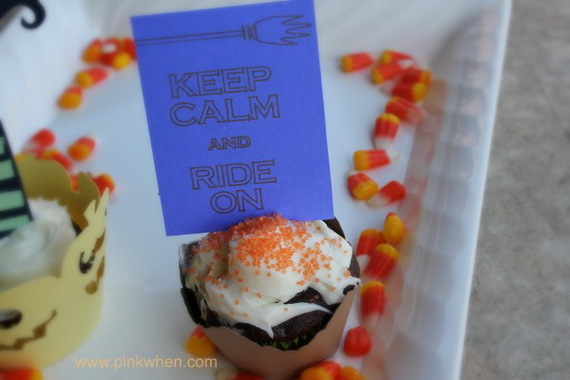 Cupcake designs are the perfect dessert choice for any celebratory occasion, the perfect canvas for your artistic creations. 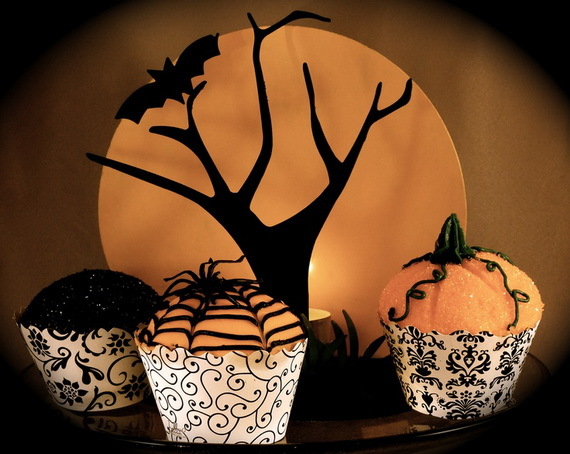 They can be easily transformed to ideas for Halloween that range from scary Halloween cupcakes to cute Halloween cupcakes, all you have to do with a bit of creativity is to decorate them with some spooky decorating items. 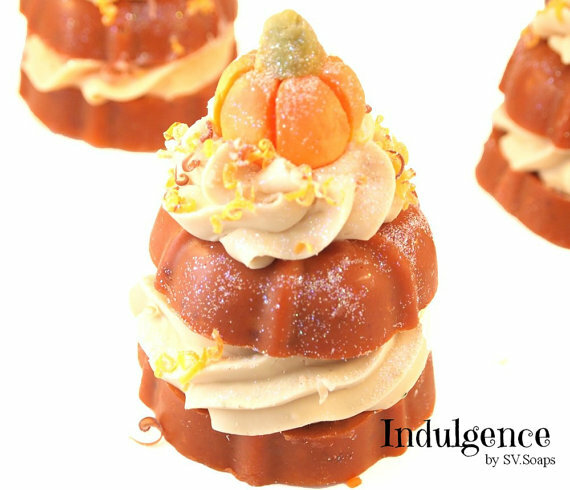 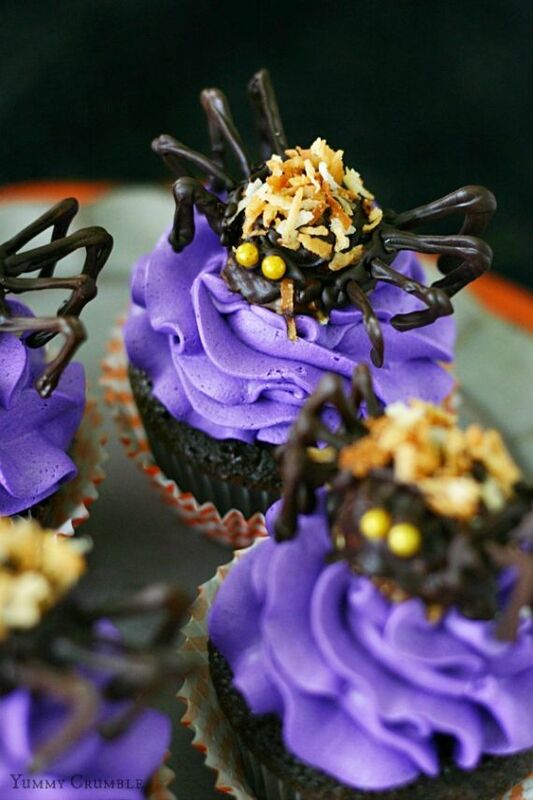 As many say …, the world of Halloween desserts is a scary place where you can find deeply rooted symbolism creatures to enjoy celebrating Halloween. 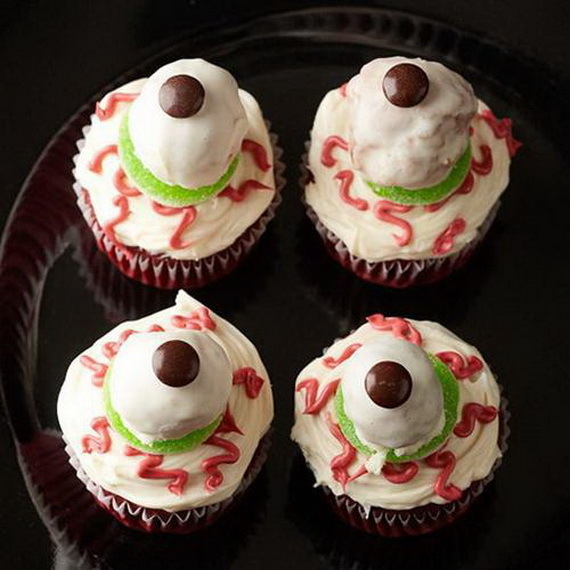 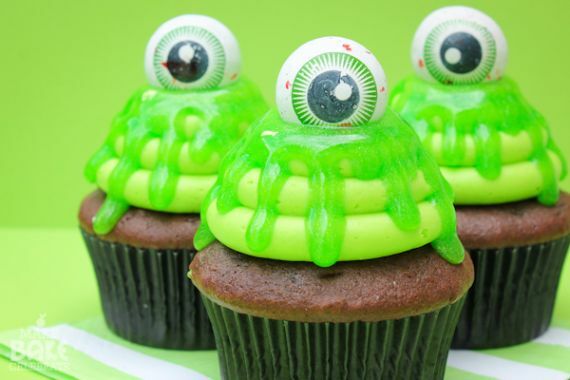 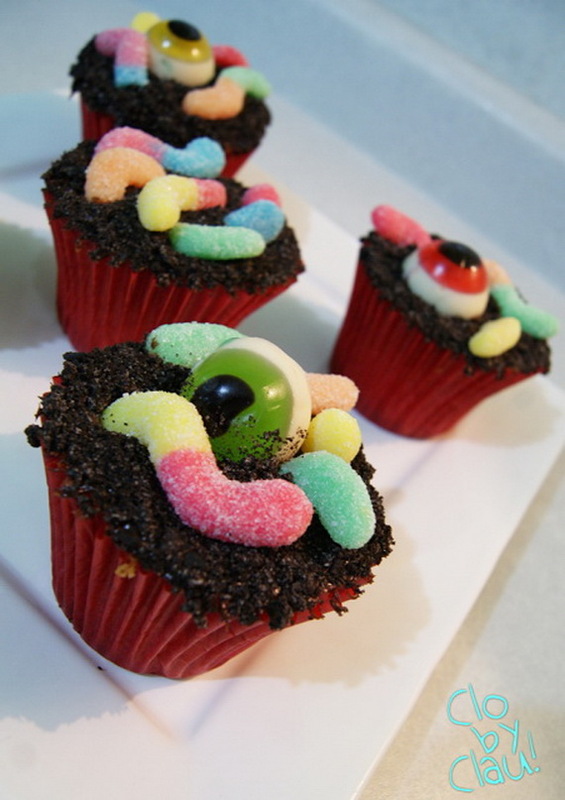 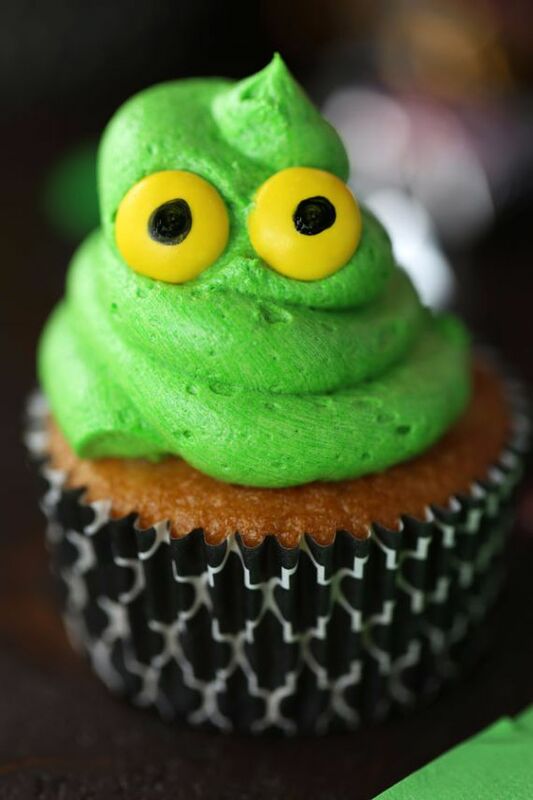 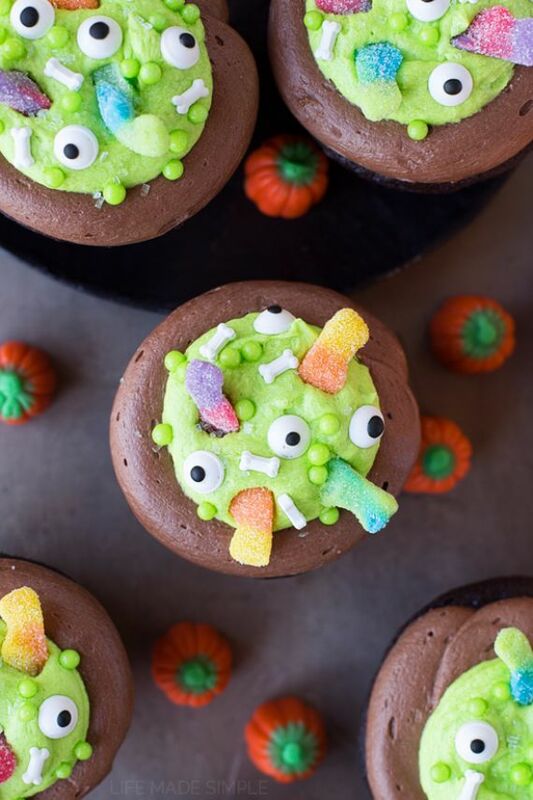 So, if you want to treat and surprise your friends for Halloween, these Halloween cupcake ideas, from horrible to adorable are made especially to impress them! 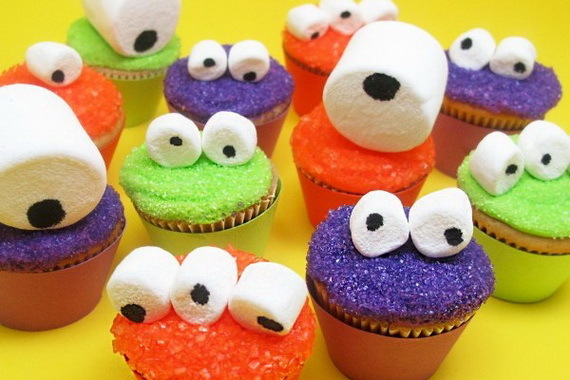 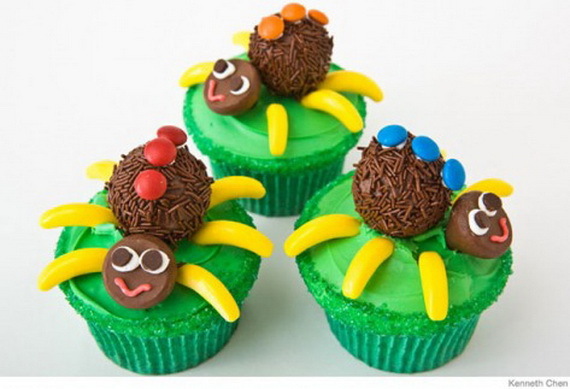 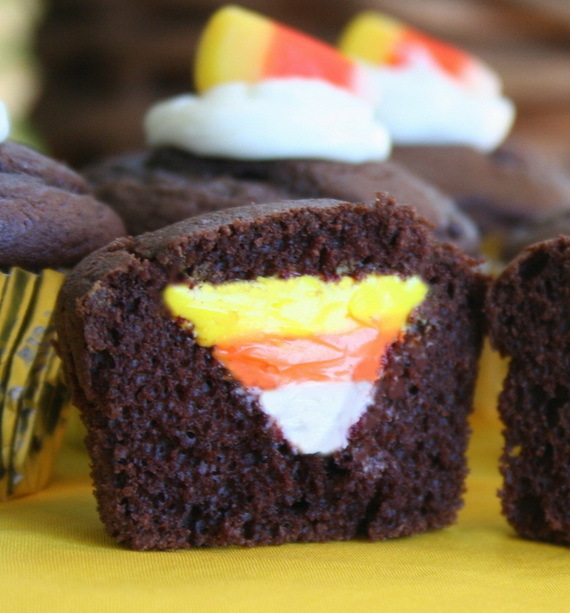 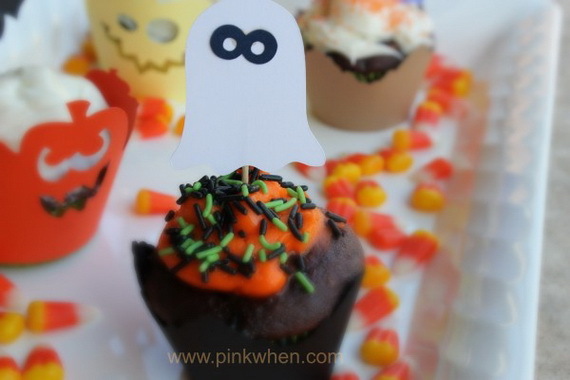 There are many different ideas for decorating Halloween cupcakes. 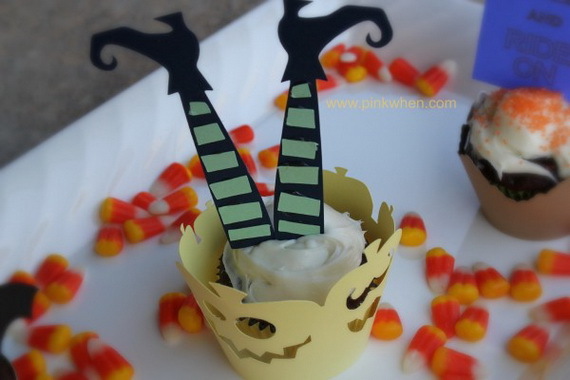 Creepy Halloween cupcakes are of surprising and interesting variety topping but quick and easy to make; creepy, crawly spiders and Spider web Cupcakes, Witches, Wizards and Spooky Ghost Cupcakes, Zombies, eyeball, mummy’s, monsters and Frankenstein Cupcakes, and the most adorable three colored Candy Corn Cupcakes and pumpkins and other fun Halloween designs. 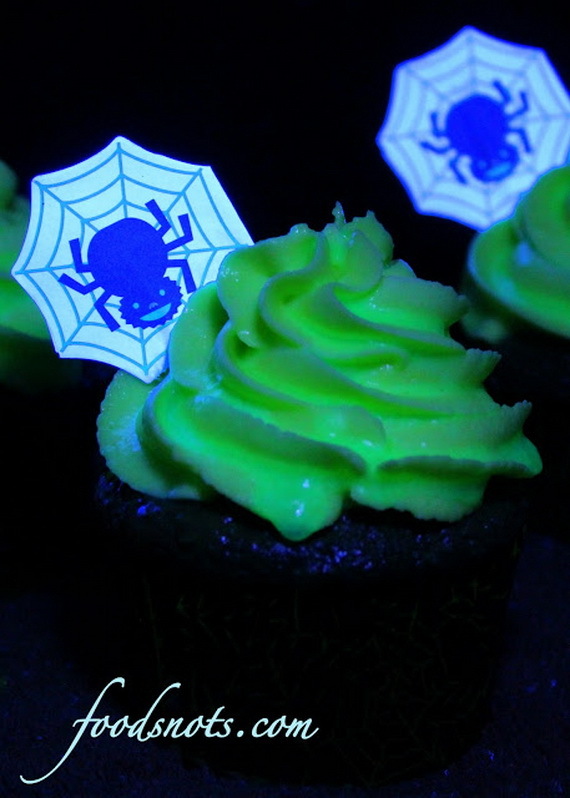 Here you’ll find fantastic selection of Halloween cake decorations and plenty of eerie looking edibles cupcakes that are chilling and creepy. 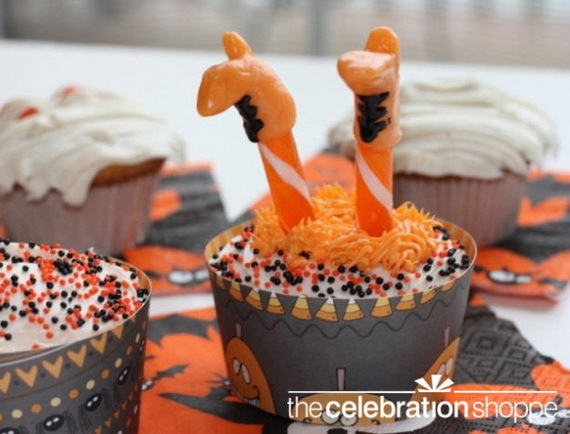 Cupcake toppers and all spooky treat decorations with easy ideas for decorating some themed Halloween cupcakes, by adding frosting, a little bit of fondant, candy and sprinkles to your plain cupcake either homemade/store bought cupcakes…Which are made of awesome tricks that can be achieved with a lot of creativity coordinate with the style to encourage you to celebrate Halloween of I hope you enjoy these ideas. 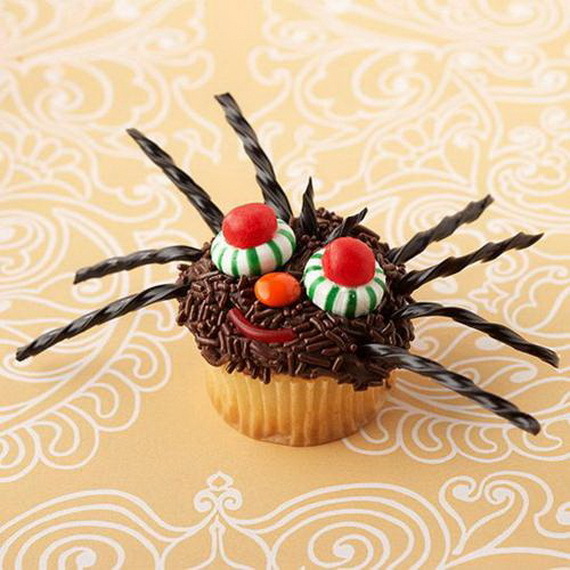 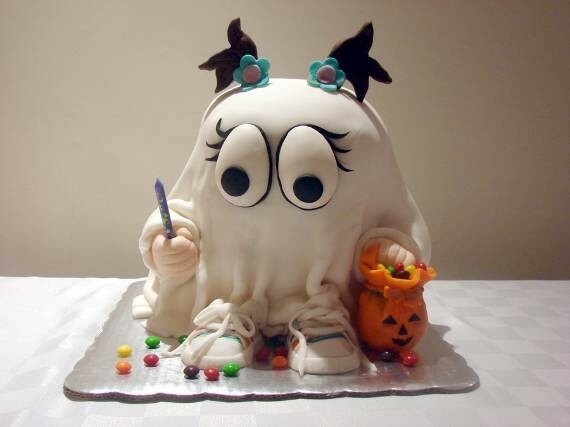 Although Halloween desserts are the important part of Halloween celebration, many of us cannot go far with cake decoration of these terrifying treats but can back a simple cake. 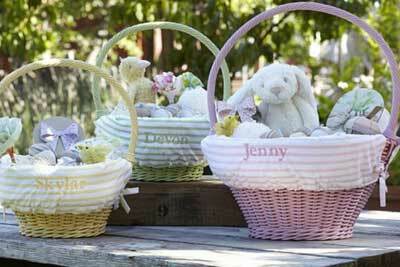 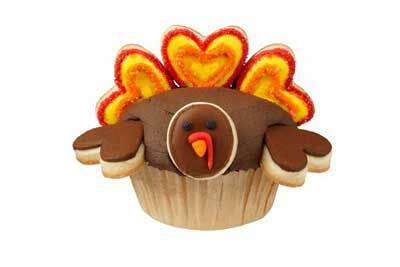 OR simply you can always buy pre-made cupcakes from the bakery section. 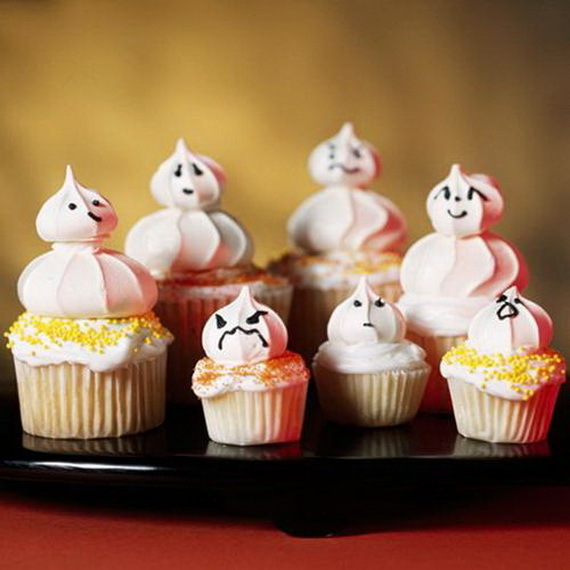 Either way we’ve made it easy for you to create delicious decorated cakes with our Spooky Halloween cupcake Ideas. 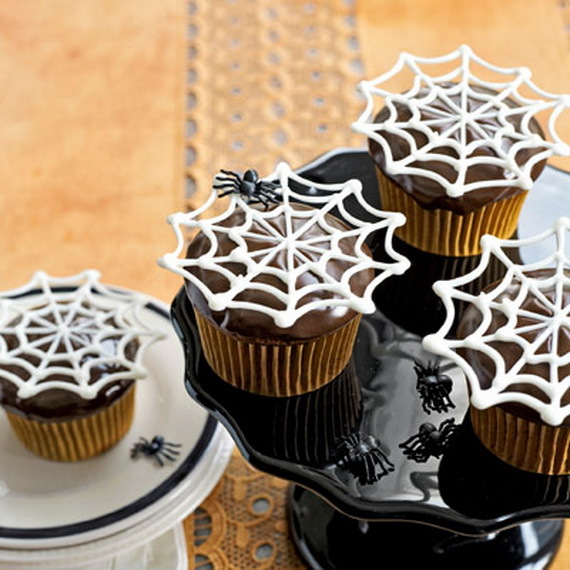 You may cheat the interesting and creative decoration idea to make on plain cupcakes to decorate into Halloween themed designs. 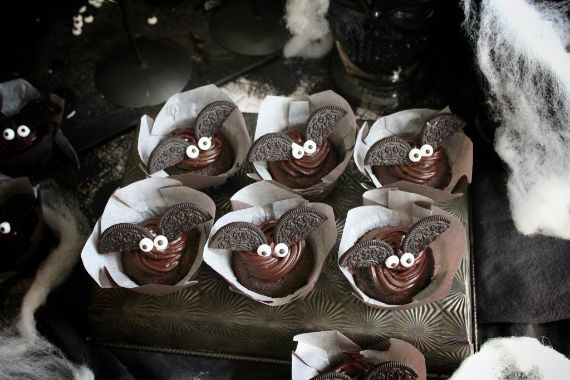 Most of them are nice and super easy to make and more over they look hauntingly good for any spooktacular party or event. 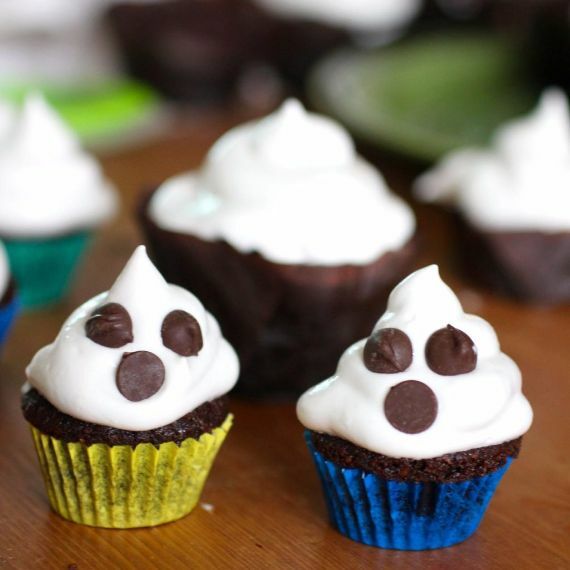 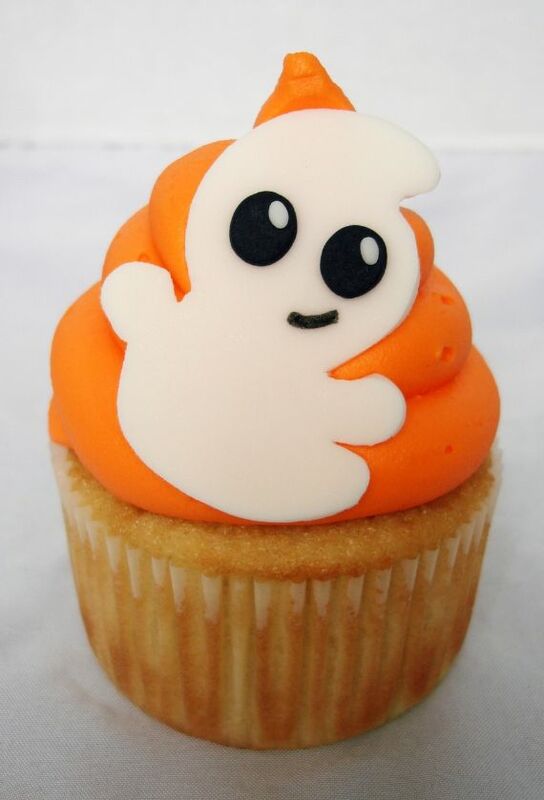 Halloween cupcakes could be with form of any Halloween symbol that seem to be appropriate for Halloween, like pumpkin cupcake ideas, candy corn, mummies, spider webs, creepy vampire cupcakes, Halloween eyeball cupcakes and of course, these adorable little ghost cupcakes. 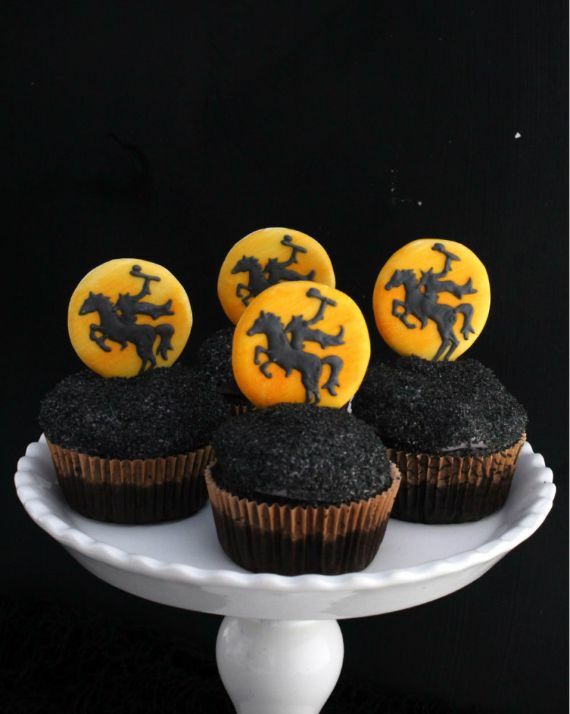 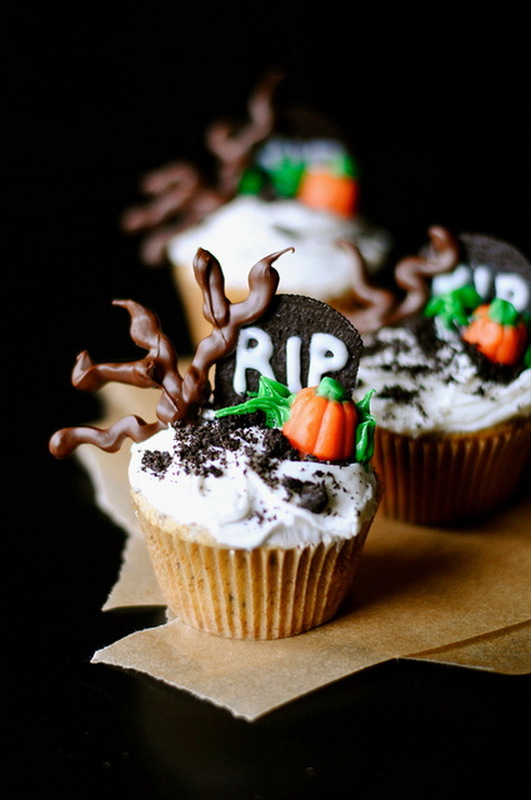 Halloween cupcakes mostly are scary, totally spooky and eerie, decorated with any delicious Halloween-themed treats. 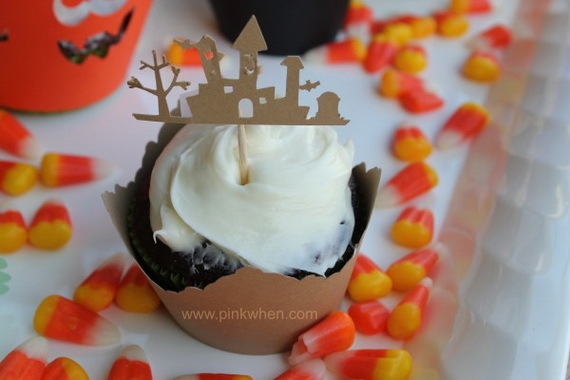 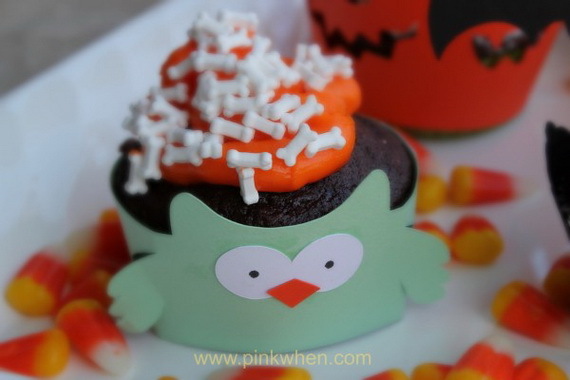 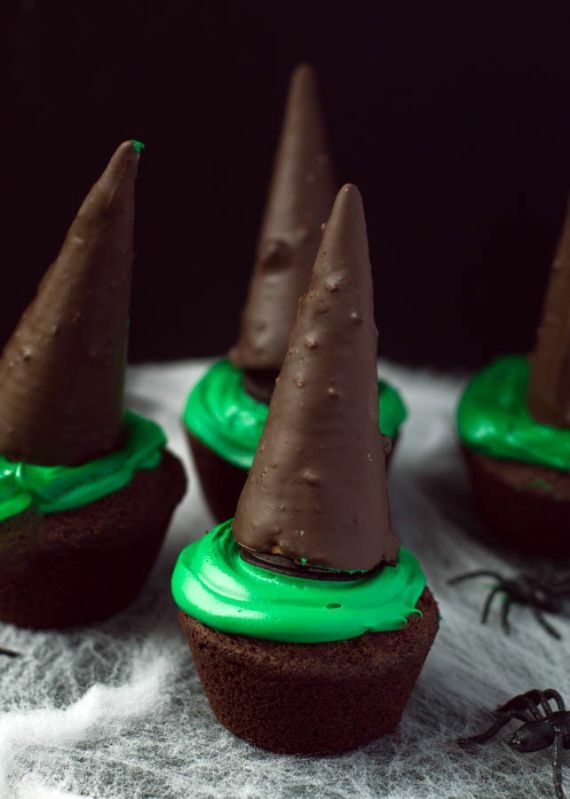 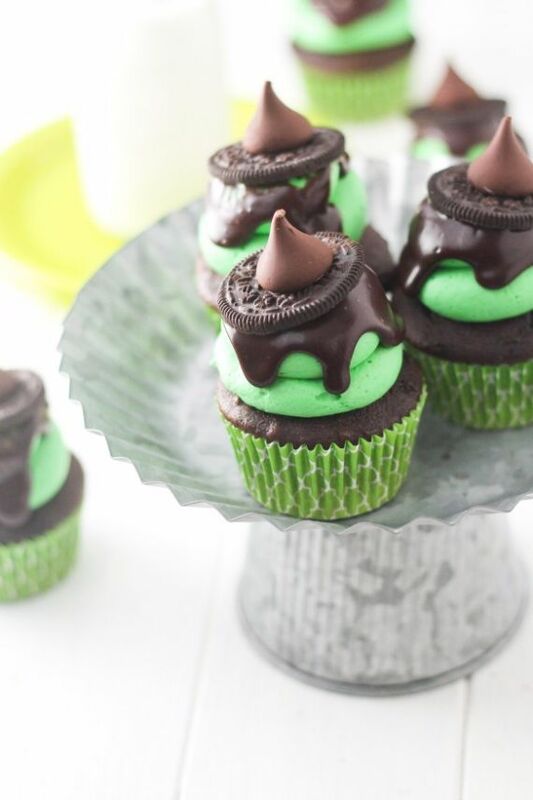 But the importance of these cupcake ideas that they are sophisticated perfectly balance between cute and spooky… yet delicious treats for all kids and adults too that will complete any Halloween gathering and perfect for the holiday. 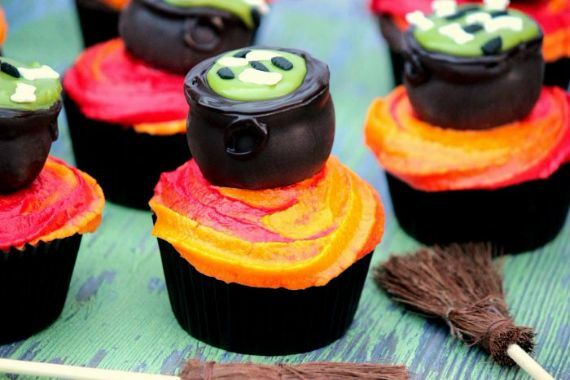 Seriously, these festive and cute Halloween Cupcakes are so much fun and a great way for parents and adults to get in the Halloween spirit. 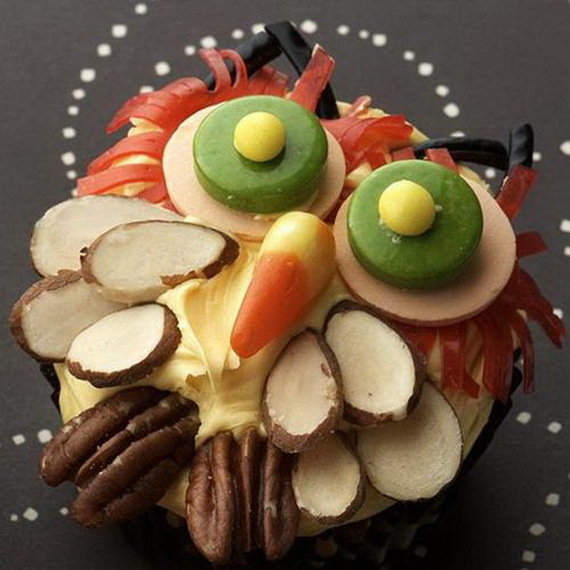 Just choose your favorite cupcake creation for adding details and make a ton of delicious fun cupcakes in order to celebrate. 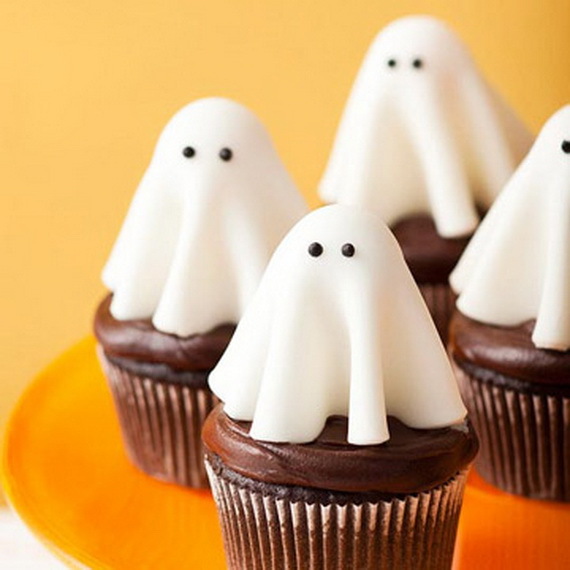 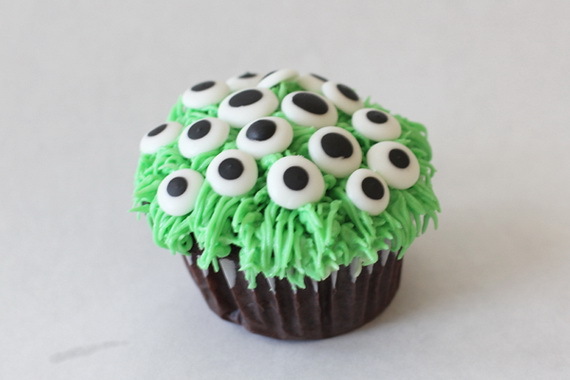 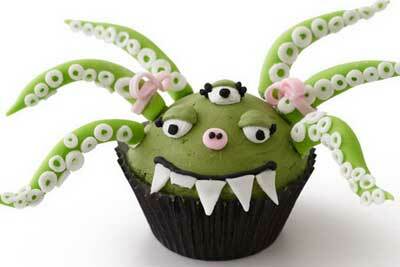 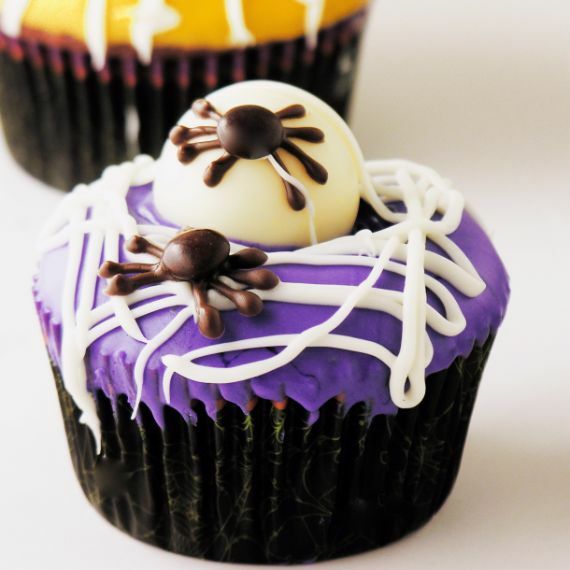 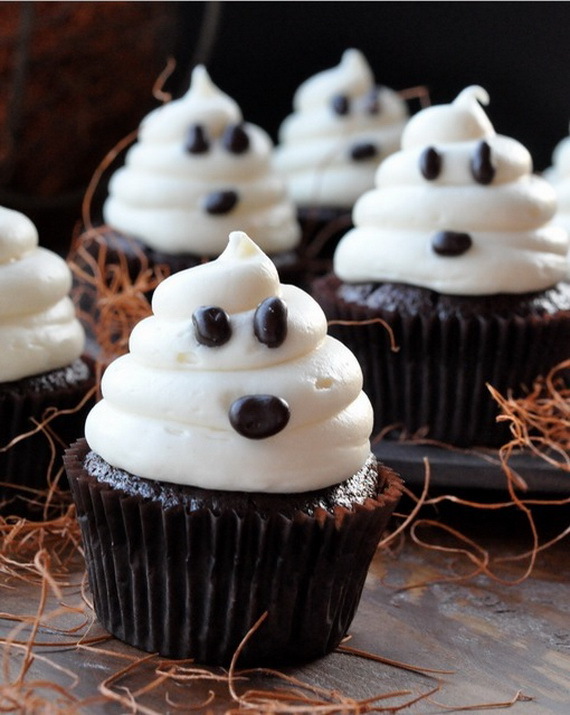 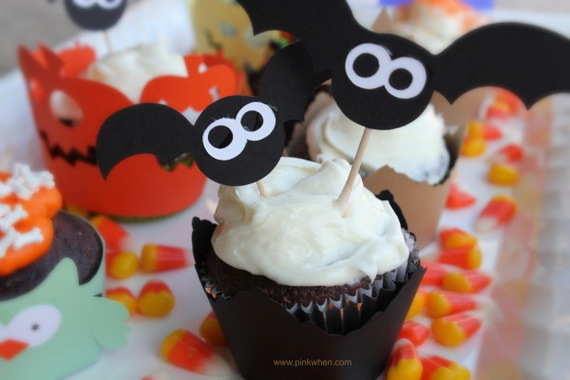 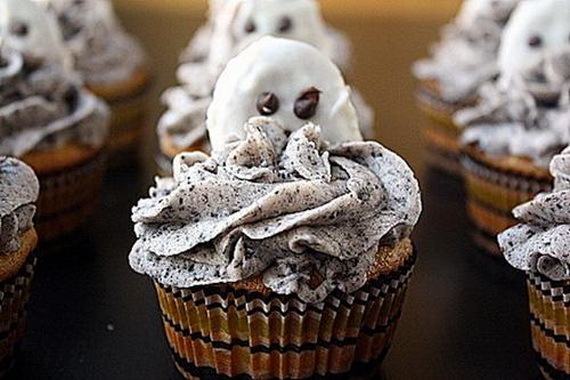 It isn’t hard to decorate cupcakes, and make a balance between cute and spooky. 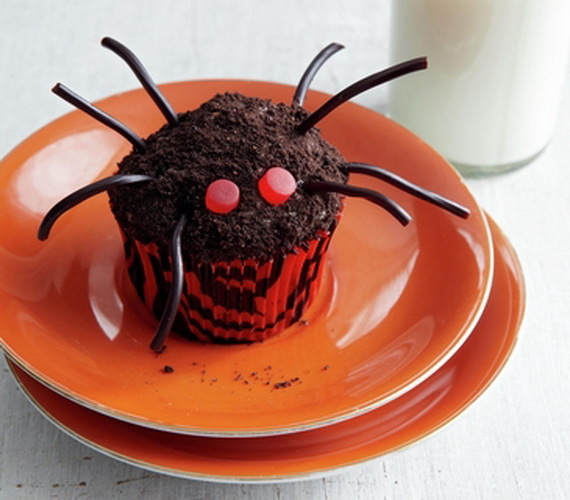 These cupcakes are easy to make, fun to decorate, and very popular in fact you don’t need to be an amazing baker to create cute and scary Halloween cupcakes! 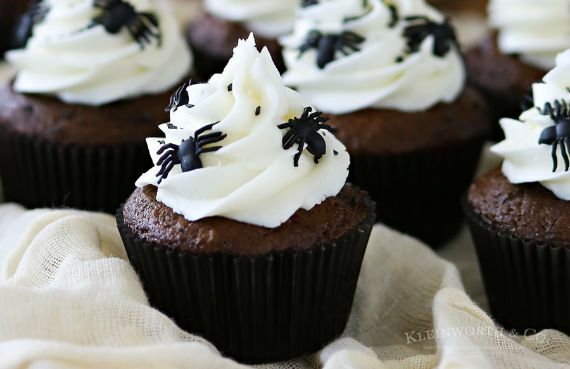 These spooky and delicious Halloween cupcakes below are some of our favorite all you need is some basic kitchen supplies (like favorite frosting, icing bags/zip-top bags, icing tips). 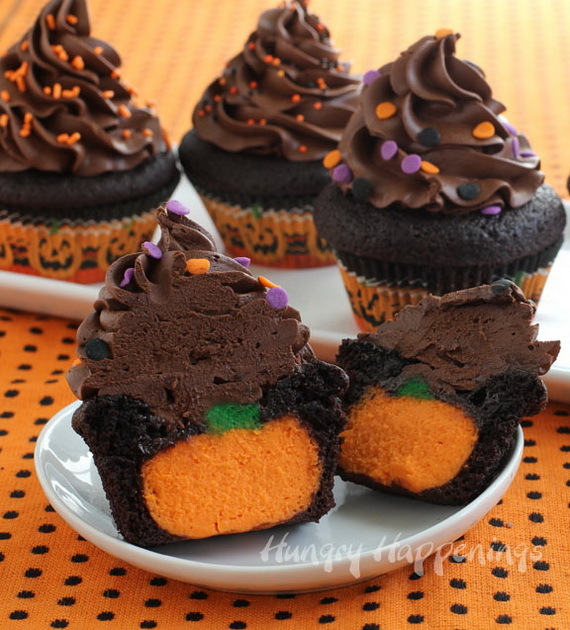 Halloween Cupcake Ideas range of both simple and challenging cupcakes decorated for Halloween in a million defrightful ways! 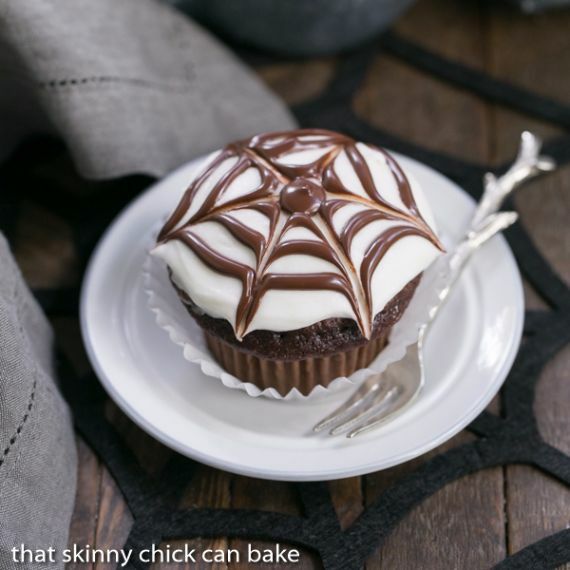 Sometimes the best Halloween treats are those with simple decorations…simplicity is the ones that are decorated with finishing touches and toppings. 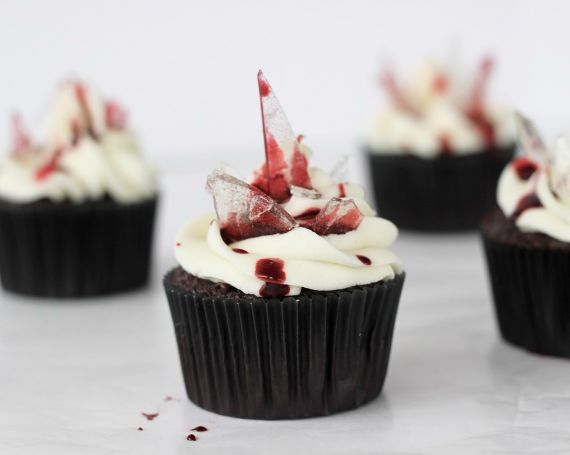 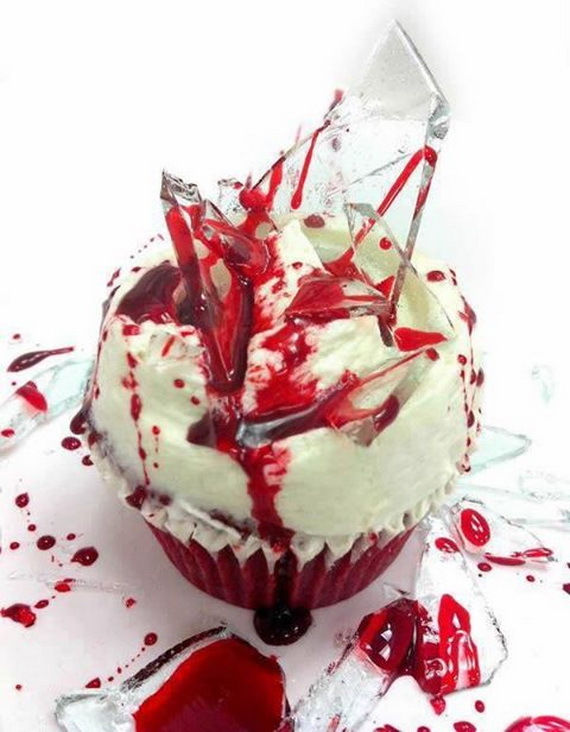 These are all sorts of truly creative ways of fun to; pick between options like gorgeous glittery pumpkin cupcakes, adorable “Fraidycat” cupcakes, bloody brains bow, or appropriately creepy vampire cupcakes. 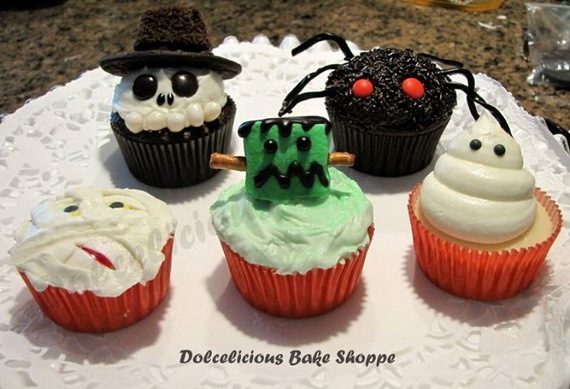 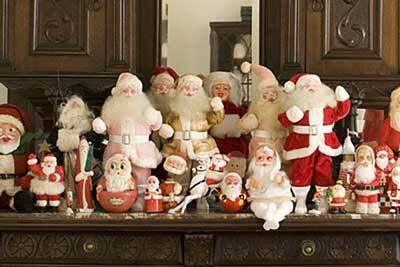 So decide which ones will you choose to Celebrate the Halloween season this year? 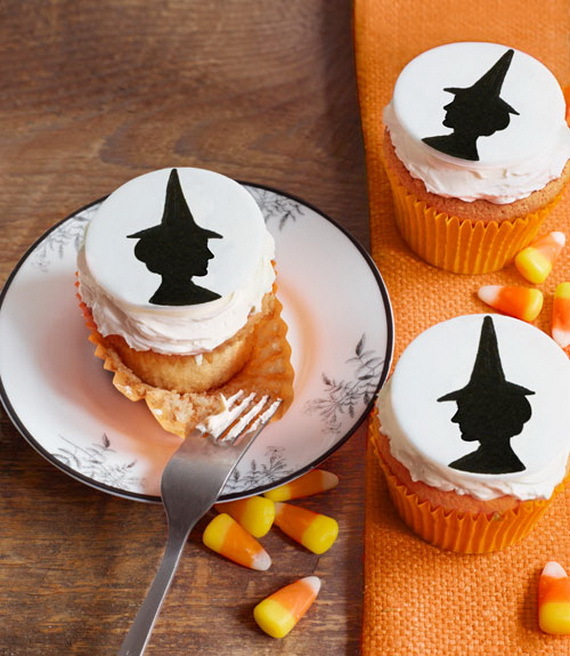 Here we’ve gathered some amazing Halloween cupcake designs to inspire you to decorate some cute and, seasonal decorated Halloween cupcakes to get your spooky Halloween spirit on. 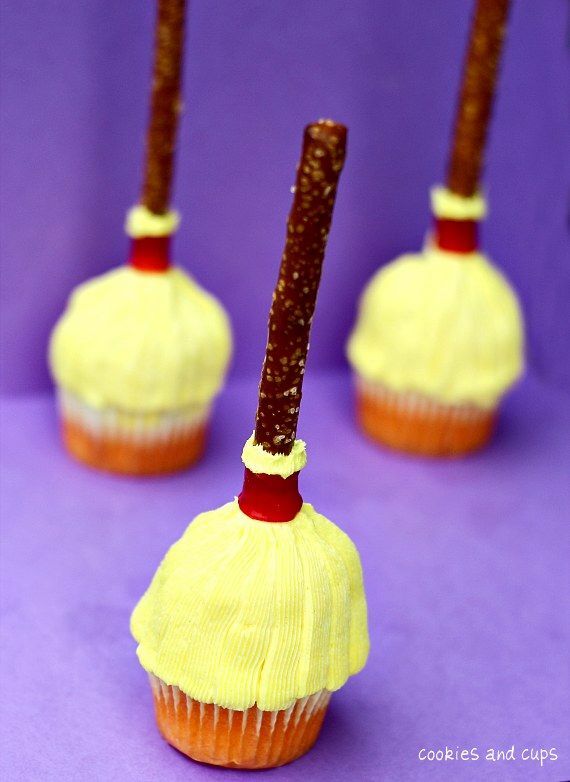 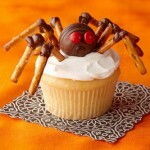 Check them out, and have fun decorating the Halloween cupcake so everyone will enjoy making for the holiday.